IMAGE: L: Prof. Mohammed Islam, founder of Omni MedSci, Inc., with members of his research group at the University of Michigan: Ramon Martinez, Chitrarekha Chaudhari, Michael Buiteweg, Kaiwen Guo, Hafiz Sheriff, Jr.
Four EECS faculty and alumni companies specializing in the life sciences and computer security made the list of the top 25 most innovative companies in SE Michigan, according to Crain’s. Topping the list is Omni MedSci, Inc., a medical device company founded by Prof. Mohammed Islam. At #3 is NeuroNexus Technologies, Inc., specializing in neural probes, co-founded by Prof. Emeritus David Anderson, Prof. Daryl Kipke, and Jamie Hetke. At #11 is Integrated Sensing Systems, Inc., a company working on microelectronic implants for monitoring heart functions, co-founded by ECE alumnus and CEO Nader Najafi, and ECE professors Khalil Najafi and Kensall D. Wise. 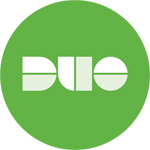 And Duo Security, a computer security company founded by CSE alumni Jon Oberheide and Dug Song, was ranked #14. This annual ranking of innovative companies in SE Michigan is based on the quality of patents received during the past year. Though Omni MedSci received only three, it was ranked #1 due to the high quality of those patents. “Anyone can write a patent,” but making one that will endure challenges both legal and technical is “an art,” Prof. Islam was quoted as saying. He should know. Prof. Islam is a patent agent with the U.S. Patent and Trademarks Office, participated in about 150 U.S. patents, and teaches a course on patent fundamentals for engineers. He is frequently joined in the classroom by ECE alumnus Thomas Lewry, a patent attorney at Brooks Kushman. This was possibly the first course of its kind specifically tailored to engineers. Prof. Islam has founded six companies, and was the first to receive the University of Michigan’s Distinguished University Innovator Award. One of his companies, Xtera Communications, which he has since sold, is now a worldwide corporation with offices in the United States, the UK, France, and the United Arab Emirates. It grew out of the Raman fiber optic amplifier technology he developed for long-haul telecommunications. Omni MedSci is developing the technology for non-invasive glucose monitoring. Prof. Islam said he has already made significant progress in this area and is actively seeking investors to further his research with the goal of ultimately bringing this potentially life-changing technology to market. Auto, life science companies top patent rankings in Southeast Michigan, by Gary Anglebrandt in Crain’s Detroit Business, July 11, 2015. How to write a solid patent: Innovators offer tips, by Gary Anglebrandt in Crain’s Detroit Business, July 11, 2015. This article focuses on Prof. Islam and Thomas Lewry, JD. Omni MedSci Inc.: Tech Innovator likes to ‘play where the puck is going to be.’ by Gary Anglebrandt in Crain’s Detroit Business, July 11, 2015. Integrated Sensing Systems Inc.: Ypsilanti electronic equipment company makes impact at micro level, by Gary Anglebrandt in Crain’s Detroit Business, July 11, 2015. NeuroNexus Technologies Inc.: Ann Arbor medical devices firm, by Gary Anglebrandt in Crain’s Detroit Business, July 11, 2015.